Conley said he hopes those who read his memoir and watch its film adaptation will walk away knowing so-called gay conversion therapy is "torture." 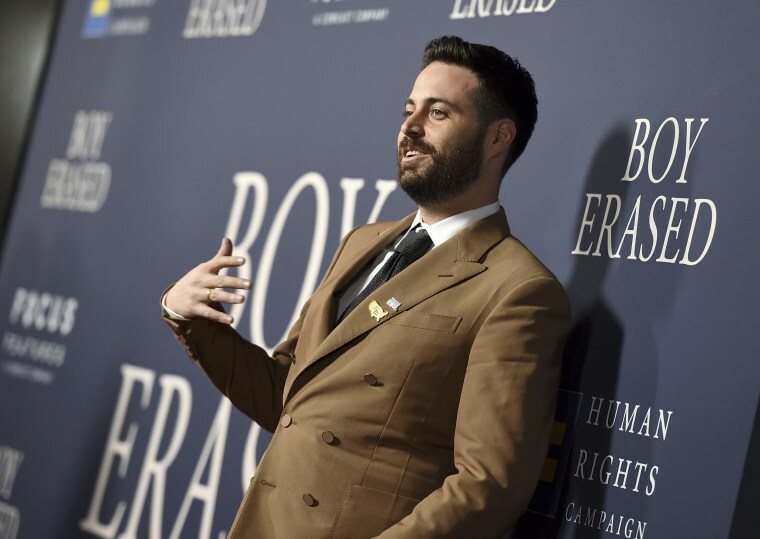 "Boy Erased: A Memoir" began as a sobering retelling of Garrard Conley’s experience in so-called gay conversion therapy. The memoir’s critically acclaimed film adaptation, "Boy Erased," is now in theaters with a star-studded cast and Academy Award chatter. Conley hopes both his 2016 memoir and its big-screen counterpart will serve as a “tool for activism” to combat a controversial practice that forever changed his life. Conversion therapy is a medically discredited practice that aims to change a person’s sexual orientation or gender identity. Currently, talk therapy is the most commonly used therapy technique, but some practitioners have also combined this with "aversion treatments," such as induced vomiting or electric shocks, the study explains. Conley, like his film counterpart, Jared (played by Lucas Hedges), was sent to conversion therapy by his parents (played by Nicole Kidman and Russell Crowe), who thought they were helping their gay son. “'Boy Erased' is a classic family drama, and because of that, it can be used as a talking point between parents and children — and hopefully within the community as well,” he said. Conley emphasized that conversion therapy is not limited to attempting to change one’s sexual orientation. Nearly 700,000 LGBTQ adults in the U.S. have gone through “conversion therapy” at some point in their lives, more than half of them as adolescents, according to a 2018 report from UCLA’s Williams Institute. And this practice — which has been denounced by nearly every major professional health association — is currently banned for minors in 15 states and Washington, D.C., according to the Human Rights Campaign. While there has never been any proof that “conversion therapy” could change a person’s sexual orientation or gender identity, Conley said getting parents educated about the controversial practice could help change their views about the pseudoscience and learn to accept their LGBTQ kids.